Inspiration for the collaboration was drawn from the attire of the Hawaiian cowboy. 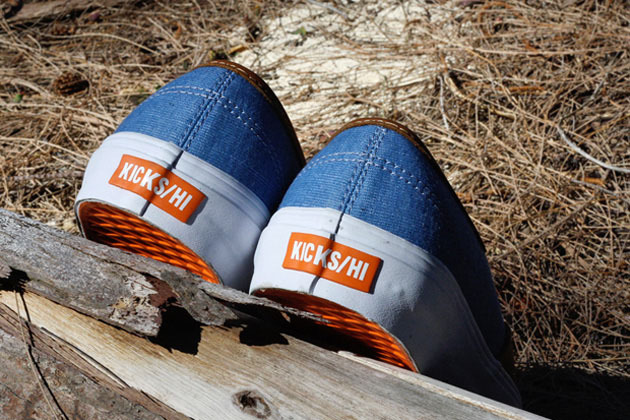 Known for incorporating Hawaiian details into their collaborative projects, KICKS/HI recently teamed up with Vans Vault to work on a unique version of the Authentic LX. Inspiration was drawn from the attire of the Hawaiian cowboy, also known as the "Paniolo." Past and present influences were blended, resulting in a shoe that features chambray in the spirit of a traditional cowboy shirt and premium tanned leather to represent their rugged boots and saddles. 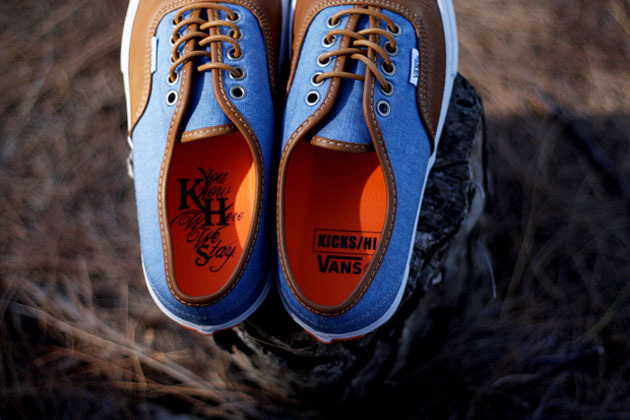 Below sits an orange waffle sole wrapped in white foxing tape and branded with a custom KICKS/HI tag on the heel. 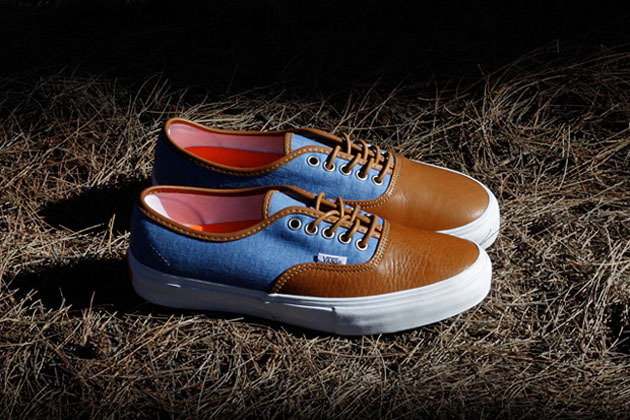 The KICKS/HI x Vans Vault Authentic LX will be released on Saturday August 4 at their physical location in Hawaii, online and other select retailers.